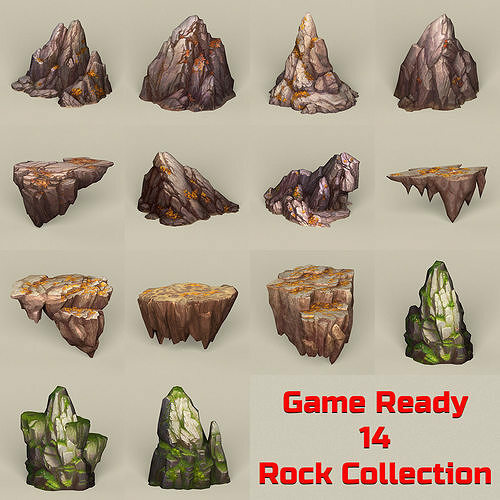 Here is the collection of 14 different type of game ready low poly 3d stone rocks. Included Textures are: Color Maps, Normal Maps. All models texture size are : 1024 pixel x 1024 pixel. Average polygon and vertex per models is 830 and 745. Models are render ready and ready for use. Model is directly usable in:- Maya 2014 or Above, 3dsmax 2014 or Above, Cinema 4D R16 or Above or in other 3d application through FBX and OBJ formats.